A new historically accurate standing seam roof was installed in the fall of 2017. It was generally a smooth process, with just a few hitches as contractors discovered questionable areas in the old roof. With the spring of 2018 being a record one for rainfall we were glad to have this sturdy new roof guarding boats, the historic ballroom and locker rooms from the elements. 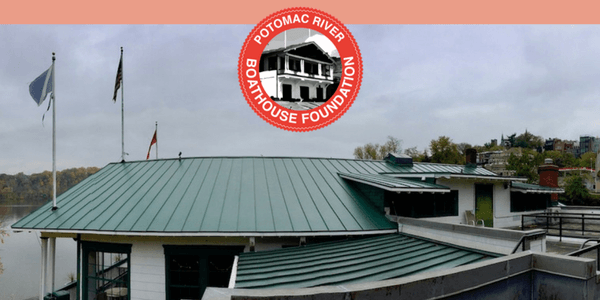 The foundation committed funds to a project to restore the iconic riverside porch of the Potomac Boat House. The project was a great success, and the foundation, together with the Potomac Boat Club, received the 2017 District of Columbia Award for Excellence in Historic Preservation for Stewardship.